Which Is The (Best) Mobile Phone In Pakistan? In Pakistan, you have the choice to pick from a wide range of smartphones. The more you pay, the more impressive smartphone you can have, mobile prices in Pakistan vary from time to time. But which is the best mobile in Pakistan you can buy? You should focus on all available options and then decide to pick easily. Here, we have gathered smartphones from different categories made by different manufacturers so you can easily pick depending on your budget level. To better understand the merits of each smartphone, focus on the different range of prices. To acquire a really good device, it is recommended to find the optimal ratio of price, set of functions and technical specs of the phone. "Quality" of a gadget is defined in many directions including strength, sound and video quality, performance, data processing speed, functionality, rear camera strength, water resistance and operation Battery. When you look at the mobile price in Pakistan, you find the number of options. If you go high, you can pick from Galaxy S9 Plus, iPhone X, Huawei Mate 10 Pro, Xiaomi Mi Mix 2s and others. If you do want a better but a little low priced phone, dive into shops for Oppo F7, Vivo V9, Mate 10 Lite, Redmi Note 5, Galaxy J8 and others. If you are really budget conscious or just itching to get an entry-level phone, we recommend paying attention to Galaxy J1 Mini, Redmi S2, Huawei Y5 Prime 2018, Nokia 1 and others. In this section, we have listed five best flagships of famous brands you can pick from. They are packed with high-end processors, large displays, and powerful batteries and optimized to have the best experience. If the top 10 in the ranking of the best smartphones in 2018 was formed in appearance, the Galaxy Note 8 would enter among leaders. This phone offers you a futuristic frameless 6.3-inch AMOLED screen. The advantages of Galaxy Note 8 include waterproofing, extensible file storage, and wireless charging, as well as interesting ways to create animated GIF files. It offers you powerful setup of a dual 12/12 MP camera. This is the first smartphone with two lenses produced by Samsung, and it can create beautiful portraits with a depth effect. However, despite the undeniable benefits of Note 8, it is expensive, especially when compared to the Galaxy S8 and S8 Plus. Throw away the stylus, and your key advantage over S8 Plus is the portrait mode (which Samsung calls Live Focus). In the Galaxy Note 8, the manufacturer reduced the battery size and capacity with 3500 mah (as was the note 7) to 3300 mah to leave more space inside the smartphone. Despite this, the battery life is quite decent, about 17 hours at full throttle. As for CPU and memory, they are all excellent, 64 GB for user data and another 6 GB for software respectively. Samsung Galaxy Note 8 praised for the excellent display, as well as for the convenient input with a stylus, this is one of the main features of the device. Experts especially noted the function of screen split, allowing to open simultaneously two applications. Are you looking for an impressively innovative smartphone? The Xiaomi Mi Mix 2s can be your best choice with no bezels. It does offer almost completely bezel-less design under an eye-catching design. this smartphone comes with powerful specs, IPS-screen 5.99 inch resolution 2160x1080 pixels, 64 GB constant and 6 GB of RAM, support two SIM cards, no memory card slot. Battery capacity is 3400 mAH. 3.5-mm audio is not here, so you have to use either wireless headphones or USB Type-C with the adapter. The main camera is dual, with two modules of 12 MP (the main module of Sony IMX363). The additional module is used to shoot a photo with a bokeh effect and a double optical zoom. The front camera is located at the bottom of the front panel. It has a 5 MP resolution and will be used to unlock the smartphone by facial recognition. The new flagship from Samsung follows the trend, which itself has spawned last year, namely the trend of unframed screens, bezel-less screens. Galaxy S9 + has an AMOLED display of 6.2 inches with 2960x1440 resolution. The Galaxy S9 Plus for the first time in the family S got a double main camera (although the dual camera can boast of last year's Samsung Galaxy Note 8). This is no surprise now, but the Galaxy S9 + still found something to surprise: not only that it has the best aperture of all smartphones, f/1.5 (which will make good shots in low light conditions), so it can be changed, although the variation. It has one f/2.4 aperture too (it is suitable for shooting in bright sunlight). The phone switch between two apertures to provide the best result depending on a condition of light. Both sensors of the main camera have a resolution of 12 MP, but the second sensor is a fixed aperture, which is f/2.4. One is a wide-angle sensor, the other one is a telephoto lens. In the camera for the first time, Samsung integrated its memory module that allows you to record video in Super Slo-Mo, that is 960 frames per second. It should be noted that for the first time such a function appeared at Sony, and iPhones capable of only 240 frames per second. The front camera has a 9 MP resolution. In Galaxy Note 8, the fingerprint scanner was located on the same line with the cameras, so it was difficult to reach, now the cameras are located under the other, and underneath them-a fingerprint scanner, so you can reach it without problems. As we can see, Samsung, unlike Apple, using the fingerprint scanner, continues to provide the freedom of choice to smartphone users, leaving the fingerprint scanner in the possibility of unlocking with a scanner face, which works simultaneously with the scanner Iris. The sensor is located to the left of the speaker when working it lights up in red. Works unlocking and in the dark, the speed of work is quite large. For those who prefer this method of unlocking, the fingerprint scanner is not needed. This is an innovative phone because of a beautiful design. This unframed 5.8-inch gadget is a new stage in the evolution of "iPhones". With the exception of the Home button and Touch ID, the new smartphone has all the features of the iPhone 8 Plus, including the fast A11 Bionic processor, wireless charging, and water resistance class IP67. The iPhone X also has a dual rear camera 12/12 MP, which is even slightly better than the excellent camera version 8 Plus. There are two models of iPhone X: with 64 GB or 256 GB of memory for user data. With this phone, Apple has a so-called system of cameras TrueDepth. This phone allows you to use the device unlock function by scanning the face ID of the user. This function completely replaces the Touch ID-fingerprint scanner. The frameless display leaves no room for the physical buttons. Samsung simply made the buttons touch-sensitive. Apple, instead of following a good example, chose a not-too-convenient option: gesture control. As a result, it became impossible to use the phone with one hand in many situations. For photographers, it has almost the same cameras as in the iPhone 8 Plus. Dual main on 12 MP and frontal on 7 MP. It comes with a better aperture from F/2.8 to F/2.4, introduced double stabilization and added portrait mode when taking pictures of a selfie. What about other features? It has a 5.8 inches screen (in fact less, because the black recess eats part of the screen space) with resolution 2436x1125 pixels, 64 GB constant and 3 GB of RAM, support for a single SIM card. This phone is powered by a 6-core processor Apple A11 Bionic. Comes under glass case material. As with other recent iPhones, there is no standard headphone jack, no memory card support and a second SIM card. Huawei is a company that has to be aligned with many Chinese (and not only) manufacturers. It is confidently going to its goal and is not far off the time when Huawei will become a number of A-brands. The company has a lot of amazing devices, and to choose the best is very difficult. After much thought in the rating of the best smartphones in 2018, the ratio of price/quality came to Mate 10 Pro. Mobile price is high, the device is based on the innovative chipset Kirin 970. Why innovative? It comes with a separate cluster to work with artificial intelligence. The smartphone has got one of the best cameras for today, and it is not surprising, the lineup of Mate is distinguished by outstanding multimedia solutions. With a huge 6-inch OLED display, a powerful processor, and a gorgeous dual camera, it is on the same line with market leaders like the iPhone X and Galaxy S9. Huawei added a screen button called Navigation Dock to help users with the one-handed operations. It can replace the navigation bar. On the back of the unit, you get a 12-megapixel sensor that takes pictures in color and a 20-megapixel sensor that shoots exclusively in black and white. Huawei Mate 10 Pro camera, even in low light, is able to produce bright, crisp photos with the minimal noise level. On the front panel, you get an 8-megapixel sensor that copes well with the capture of the face. There is a special "mode of Beauty", dressed in skin defects in the photo. The phone is equipped with the latest Huawei Kirin 970 processor with support for 6 GB of RAM and 128 GB of internal memory. Unlike the previous participants of the smartphone ranking in 2018, the Mate 10 Pro battery is more soaking, 4000mAh. In this section, you can find the five best mid-range phones in Pakistan. They are not too much expensive but they try to offer a flagship level experience with a wide range of features. Xiaomi Redmi Note 5 is one of best mid-range phone you can buy. While the leading manufacturers of smartphones try to conquer the market of bezel-less models, focusing on the flagship segment, Xiaomi follows this trend and in the budget segment, and Redmi Note 5 is one of best example you can get. The first thing to pay attention to in Redmi Note 5 is a huge IPS screen of 5.99 inches. A couple of years ago, a phone with such a screen would be a spade for a narrow circle of connoisseurs of similar models, but in the era of frameless smartphones, the increase in screen size almost did not affect the increase of the body. More, the resolution is also impressive, 2160x1080, while budget smartphones tend to offer a maximum resolution of 1920x1080. 5.99 inches, IPS FHD + (2160 x 1080 pixels), proportion 18:9, a pixel density of 403 PPI, contrast 1000:1, brightness 450 nits, and 84% NTSC, protective glass Corning Gorilla Glass 2.5 D, all this attract a lot. 64 GB of internal storage and 4GB of RAM, there is a memory card slot too you can use. Powerful battery capacity 4000 mAh can lead to full day usage. The phone is packed with an 8-core processor. There's a fingerprint scanner as well. Under metal case, the rear camera setup contains one 12MP and one 5MP camera. The main camera setup comes with pixel size 1.25 micron, 5MP-lens wide-angle lens, aperture f/2.2, Phase Auto-focus, dual LED flash, video 4k 30 fps. The front sided camera is 5 MP, with aperture F/2.0, this is wide angle lens. This is a good value for money, for the most part, it has a smooth performance to offer. Huawei Mate 10 Lite has a high-quality assembly, frameless screen, especially impressive coverage of its screen. The device works smoothly in everyday tasks, the camera in the daytime takes great photos. Portrait mode is also worthy of praise, the fingerprint scanner is lightning fast. At the same time, there are some drawbacks, the largest of them can be called video and photos in the dark time of day. Huawei Mate 10 Lite comes with 2.5D glass protection, with a 5.9-inch display featuring the resolution of 2160 x 1080 pixels and the ratio of sides is 18:9. The fingerprint scanner is located at the back. The main camera of the smartphone is represented by two modules with a resolution of 16 and 2 MP. They are able to take photos with a bokeh effect-blurred background. The front pair includes modules with a resolution of 13 and 2 MP, which are also able to take pictures with blurred background. This phone is packed with a Kirin 659 chipset with a maximum clock speed of 2.36 GHz, graphics accelerator Mali-t830 MP2 and 4GB of RAM. The volume of the built-in drive is 64 GB with the possibility of expansion with microSD cards up to 256 GB. The company Oppo has the talent to impress the world with quite eye-catching smartphones. The Oppo F7 is one nice example with tons of useful features, it features impressive cameras and an advanced AI technology to create images. In combination with a "full-screen" (elongated and frameless) display and improved multitasking mode, as well as a completely new, never once boisterous hardware platform MediaTek P60, smartphone Oppo F7 certainly attracts attention. This phone is equipped with an IPS display with a 2.5 D protective glass. The screen size is approximately 68 × 143 mm, with a diagonal of 6.23 inches, and the resolution is 2280 × 1080, the aspect ratio is 19:9, the density of points is about 405 PPI. The width of the frame around the screen on the sides is about 3 mm. You can adjust the brightness of the display manually or use automatic settings based on the operation of the ambient light sensor. Multitouch tests support 10 simultaneous taps. Due to the smaller number of borders (the type of glass/air) with strongly differing refractive factors such screens look better in conditions of strong external illumination, but their repair in case of cracked of external glass costs much more, as you have to change the whole screen. As a front camera, Oppo F7 uses one module, 25MP. It has a huge resolution and a lens with aperture f/2.0. HDR works in a wide range, due to which, regardless of the level of illumination, in the sun or in the shadows, the images are more detailed, bright, with an extended color scheme. It does offer the 16MP rear-sided camera with a f/1.8 aperture. The phone comes with a 3400mAh battery you can charge fast, thanks to VOOC charging. This phone should easily last until the last hour of the day with average daily phone operations. Vivo V9 belongs to the average price segment with a number of flagship chips. One of the most remarkable features is the 6.3-inch display with a fashionable and recognizable "so-called notch". Features are also not summed up, 64 GB of memory, and advanced camera with artificial intelligence and more are other reasons to pay attention. With this phone, the manufacturer has implemented several current trends including a block with a double camera, a screen with a narrow frame with a ratio of 19:9 and "cut at the top, aka notch" in the upper zone of the screen. A widescreen screen with a ratio of 19:9 sides is installed. The screen resolution is 2280 x 1080 pixels. IPS matrix within Cell technology is used. Viewing angles are wide. Well-tuned color reproduction. Contrast is high, initially, the screen has a protective glass with a coating. The touch-sensitive layer responds accurately to pressing. Vivo V9 is packed with eight cores. By modern standards, the performance level is far from a record. 4 GB of RAM and 64 GB of internal memory are available. It has two rear sided cameras, 16 and 5 MP. The second camera provides macro-mode support and managed background blur. Auto-focus is tenacious, but often fast objects get blurry. Electronic camera stabilization in photo and video mode is not supported. It has a 24MP front sided camera aperture F/2.0. The screen is very large in size, it has 6 inches display with the resolution of 1480x720 pixels, pixel density 274 DPI, usable area 75%, type of matrix Super AMOLED. The amount of RAM on the phone is quite decent, 4GB. Internal memory at the device is also impressive, 64 GGB, and enough for volumetric tasks. It is possible to increase the internal memory by cards. It comes with Octa-Core processor, operating at a frequency of 1800 MHz, designed by technology 14 nm. The chipset is created by configuration 8x 1.48 GHz ARM Cortex-A53. Chip Adreno 506 is responsible for working with graphics. This power is enough for the work of demanding games and regular applications. Samsung Galaxy J8 is equipped with a double rear camera with a matrix of 16 and 5 MP. Front camera is 16 megapixel. Rear camera technology offers face recognition, panoramic shooting, auto-focus, continuous shooting, HDR, geotagging with aperture f/1.7. The device has the support of networks of the 4th generation, it offers Bluetooth 4.2 and Bluetooth protocols are A2DP, HID, PAN, AVRCP. There are two slots for SIM cards. The type of Nano-SIM cards supported. The ranges in which the Wi-Fi module can operate: 802.11 (A, B, G, N). Wi-Fi protocols: Wi-Fi Hotspot, Wi-Fi Direct. The rechargeable battery has a good capacity of 3500 mAh and can provide two to three days when working with the normal load. These are not very high-end phones but rather optimized to meet some basic needs at very low prices. They can help you manage some basic tasks in daily routine life. Vivo company introduced its new budget smartphone, vivo y71, a while ago. This phone looks very modern, but its staffing budget and too much of this device to wait is not worth it. 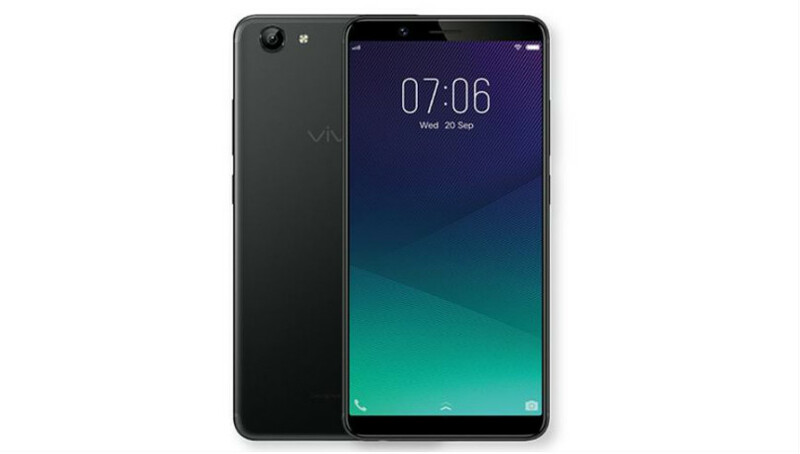 In general, Vivo is very well established and now they even offer smartphones of the budget segment that come out fairly high quality. Also, they often bring to their devices something new and unusual, such as a retractable front camera in Vivo Nex. This phone comes with a quad-core processor. This phone comes with a standard IPS LCD panel, it has a 6-inches display featuring HD+ resolution, 720 x 1440 pixels. And it covers trends, it has an 18:9 aspect ratio with 268ppi pixels density. The phone is packed with a Quad-Core processor clocked at 1.4Ghz. And more, this phone offers you 3GB RAM with two different configurations. You can pick it with a 16 or 32GB internal storage. And yes, you can expand, you can expand with SD card up to 256GB. This phone has a 13MP rear sided camera equipped with a f/2.2 aperture, PDAF and LED flash. You can record full HD videos at the rate of 30 frames per second with this camera. More, you get a 5MP camera for the front side with f/2.2 aperture. This phone has a 3360mAh battery which should easily last all day. More, you can pick this phone in two decent colors, black, and gold. This is a budget focused phone by Xiaomi. The body is completely made of plastic and in some cases, it can scare off a potential buyer, but on the other hand. The presence of plastic casing did not prevent Xiaomi Redmi 5a in the first quarter of 2018 to become the best-selling smartphone in the world. The volume buttons, as it is supposed, are placed on the right end of the smartphone. As for the tray under the SIM card and memory card, here it is the same as in Xiaomi REDMI Note 5a, advanced, able to fit at once two sims and MicroSD. This is very convenient because you do not have to sacrifice a second SIM card to expand the available space. Unlike the previously presented Xiaomi Mi 6x, Redmi S2 has an input of 3.5 mm for headphones, which together with an infrared port and an additional microphone placed on the top end. The Xiaomi Redmi S2 display is a little good at this budget, with a screen of 6 inches and resolution 1440 x 720 pixels, is quite modest. By comparison, Xiaomi Redmi Note 5 IPS-matrix loses both the quality of the picture and color reproduction. The display module is stripped of 2.5 D coating (rounding on the faces) and slightly protrudes above the body. The smartphone works on the basis of the Octa-Core chip, the RAM capacity can be 3 or 4GB, and the built-in memory can be 32 or 64 GB. The storage space can be increased by means of microSD memory cards. The smartphone is equipped with a front camera of 16MP with Flash. According to the manufacturer, the image processing is carried out with the help of artificial intelligence, which allows blurring the background using only one module of the camera. As for the main camera, it consists of two modules with a resolution of 12 and 5MP. In the video shooting mode, there are slow and accelerated shooting, image stabilization and the ability to shoot in 4k. Nokia 1 is a stylish smartphone running on 4-core processor MediaTek MTK6737 1100MHZ processor, equipped with IPS display, displaying up to 16 million colors. It comes with a 4.5 inches display and 5MP camera. Equipped with a powerful battery at 4000, which allows the machine to work up to 360 hours in standby mode and up to 9 in talk mode. For communication can offer Web browser, HSDPA, HSPA, LTE (4g), WiFi, stereo Bluetooth, etc. For music lovers, There is an audio output of 3.5 mm. It is also worth noting that it is equipped with a GPS receiver, which will allow you not to get lost anywhere! More detailed technical specifications can be found below. 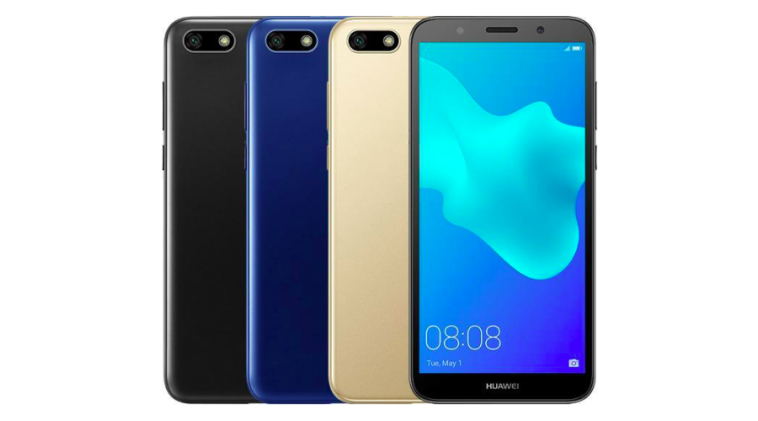 Huawei Y5 Prime 2018 has got an elongated rectangular case with rounded corners. The front part of the device closes the strong protective 2.5d-Glass. The phone comes with an aspect ratio of 18:9. And navigation buttons are virtual. The back panel is fully realized from the pleasant to the touch plastic. The slightly velvety texture does not let the phone slip from the hands. In the upper corner, you get a horizontal block with the main camera and flash. The device is distinguished by practicality and ease of use. Available colors are Black, blue and gold. In the smartphone Y5 Prime 2018. You get a 5.45-inch screen with an advanced aspect ratio of 18:9. Resolution of such IPS-display is 1440 at 720 points, known as HD+. The frames around the screen are small enough. It is worth to highlight the excellent viewing angles, as well as the juicy color scheme. Eye Comfort mode automatically filters blue shades to reduce eye strain. Some parameters can be adjusted, taking into account their preferences in terms of colors and general gamma. The device is packed with a quad-core processor Mediatek mt6739 at a clock frequency of 1500 MHz. This budget chip uses Cortex-A53 kernels, and there is also a graphics accelerator PowerVR ge8100. The gadget received 16 GB of internal storage and 2GB of RAM. Memory cards up to 256 GB are supported. The phone is powered by a powerful rechargeable battery with a capacity of 3020 mah. The main is 13megapixel, it has the disposal of auto-focus and LED flash. Such a module is quite simple by modern standards but allows to create high-quality pictures only in conditions of clear weather. The settings mode is limited to the basic functionality. Here you can use the automatic mode, which seems to be the most versatile. It is possible to shoot panoramas and include HDR. There is also a 5-megapixel front camera with a tone flash, which is useful in low light conditions. There are some features for decorating self-portraits. It is noteworthy that the front camera is able to recognize the user's face for subsequent unlocking. It happens with high speed and accuracy. 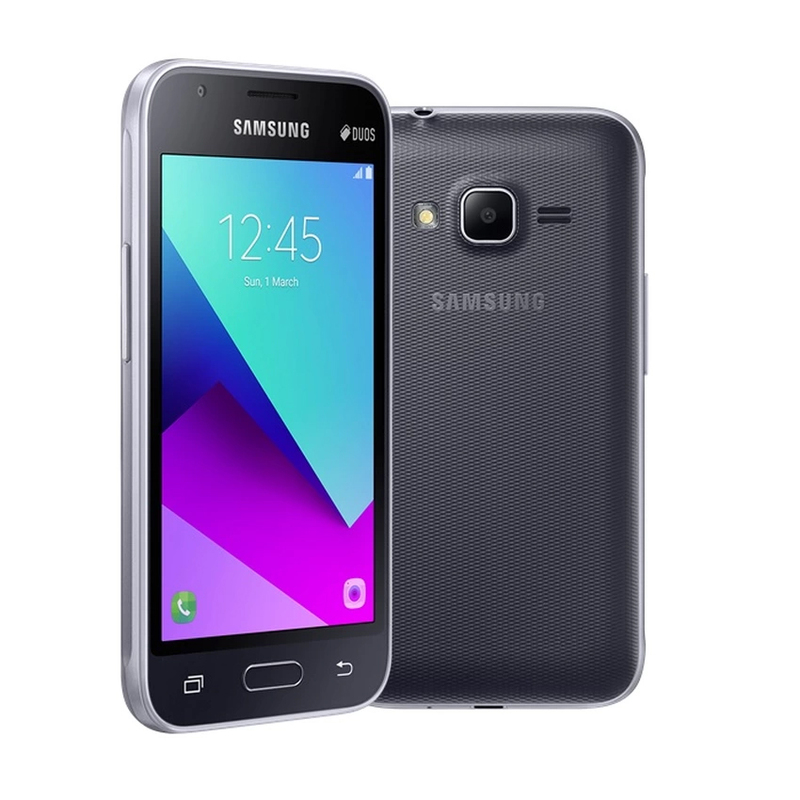 An entry-level smartphone, the Samsung Galaxy J1 Mini Prime cannot boast of a metal case or high-quality Super AMOLED screen with HD resolution due to a low price tag. Its body is made of regular, though high-quality plastic, and the 4-inch screen has a resolution 480x800, which is not so bad.